Hymns are expressions of our belonging, emphasizing our common Christian identity, calling, and hope. Their effectiveness depends largely upon their authors’ ability to find the right words to articulate our immortal longings, and also upon their being set appropriately to music that captures the public’s imagination. Both words and music are very powerful means of communication. In this article I shall concentrate on examining the words we sing. The principal source of inspiration for hymnody is Holy Scripture but the relationship between the words of ‘hymns of Man’s device’ (Arnold, 1995:2) and ‘the pure Worde of God only’ (ibid.) has not been without its problems. It is arguable, for instance, that the practice of versifying large sections of Scripture—particularly from the Psalter—helped to stifle theological development, to stunt spiritual growth, and to hamper the process of creative imagination for several centuries. For one thing, restricting hymnody to the Psalter imprisoned the creative poetic spirit within the mind-set of the Old Testament, and made it impossible to sing of the great Christian themes of the Incarnation, the Resurrection, and the Ascension (unless one can interpret the psalms Messianically); and it is perhaps a rather weak defence to say that the New Testament is fundamentally less lyrical than the Old. Of course, liturgical conservatism should not be identified as that negative and obstructive attitude that resists all attempts at progress, and apparently seeks to make a virtue out of ‘arrested development’. There are some Christians who seem to regard the Church as semper eadem, and who resolutely refuse to countenance the possibility of any change in its ‘canon’ of hymns, psalms, and spiritual songs. But we would do well to remember Bernard Manning’s observation that ‘the business of a hymn is to strengthen the faith of today, and not to present a historical record of the faith the day before yesterday’. Language, like theology, is not static. We need, for instance, to take account of the proliferation of new translations of Holy Scripture which have made the Authorized Version now seem very archaic and remote. Yet although the problem may be perceived as a linguistic one, the issues go much deeper. It is a cultural matter as well; and we must recognize that contemporary culture is far removed not only from that of biblical times, but also from that of quite recent times. We cannot assume that God stopped speaking to his Church after the canon of Holy Scripture was closed, but we can assume that he has not since restricted himself to the linguistic customs or the cultural conventions of the past. All the same, the Bible is still a valuable devotional book, which has provided, and should continue to provide, rich inspiration for hymnody. The title of one of Erik Routley’s books, Hymns and Human Life, seems particularly apposite. Hymns must deal with human issues, emotions, sentiments, beliefs, and even barriers to belief, and be true to everyday experiences. The hymn-writer needs to recognize also that ‘the truth of the Faith is something that is felt rather than thought by many deeply committed Christian people’ (Pitt-Watson. 1976:49); and the sensitive author may well see his or her poetic art ‘a means of expressing emotion, a vehicle for imparting and hopefully articulating the great moments of existence, love and death, times which are harmonious, satisfying, or simply final’ (MacDougall, 1997:17). Ian Pitt-Watson had a favourite expression which he used to emphasize the need for a balanced and disciplined approach to sermon preparation: the exegesis of a biblical text ought to be balanced by an equally responsible and sound ‘exegesis of life’. This, I think, is also true of writing hymns. If they don’t begin with Holy Scripture, they must begin with where the people are; and that should activate serious theological reflection upon the significance of human experience, which can then be illuminated by the insights of Holy Scripture. It is not surprising to find that not all hymns were inspired by the reading of Scripture. For example, ‘The Church’s one foundation’—a statement of orthodox (Anglican) incarnational ecclesiology—was sparked off by a significant event in the life of the Church, the Colenso-Grey controversy. But the biblical pedigree of the text is indisputable. 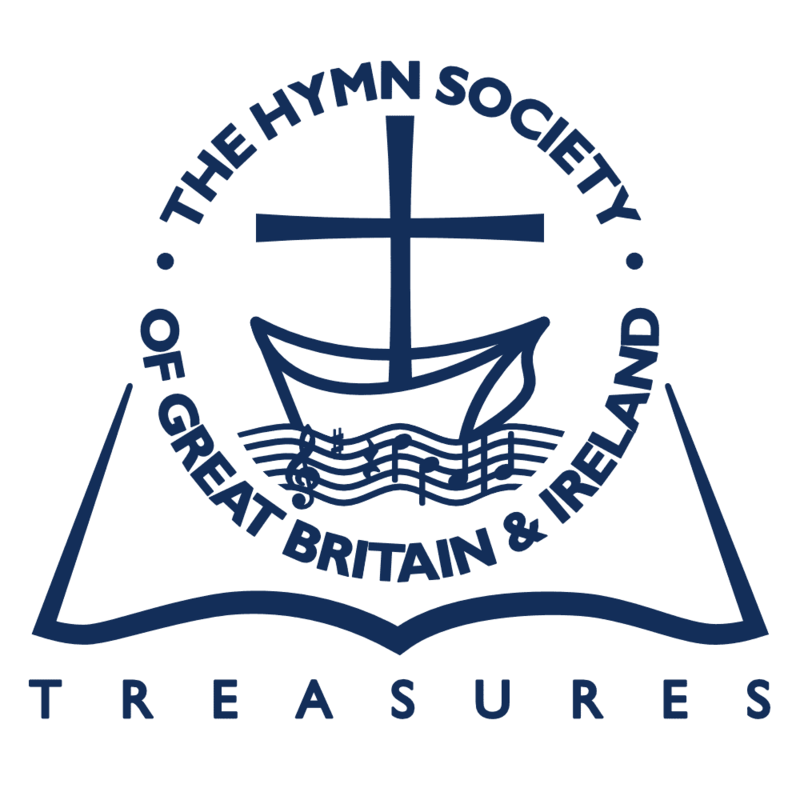 The line ‘When other helpers fail and comforts flee’ in the hymn ‘Abide with me’ (suggested by a biblical text) is often thought to be a rather thinly veiled reference to a distressing occurrence in Lyte’s ministry when a number of his choir members defected from the Parish Church to worship with the Plymouth Brethren. Fred Kaan applies prophetic vision (and often anger) to social problems. He writes abrasively in, for example, ‘Sing we a song of high revolt’; but applies the imagery of the Magnificat to the contemporary situation. Less obviously biblical, but not less successful, are his ‘Father, who in Jesus found us’ (AMNS 358), ‘For the healing of the nations’ (AMNS 361), which is a charter of human rights, the unrhymed ‘Lord, as we rise to leave this shell of worship’ (AMNS 385) and ‘Now let us from this table rise’ (AMNS 403), which speak of the Christian commitment of the Church in the world. Fred Pratt Green in ‘When the church of Jesus’ (BPW 614) and Doris Gill in ‘Come, let us remember the joys of the town’ (CH3:384) can legitimately write about traffic (though the images they use will date quickly). Richard Jones’s once popular ‘God of concrete, God of steel’ (AMNS 366) has been criticized on the grounds that it could be misunderstood as implying that God is made of these substances, rather than spirit—a hint of idolatry (?). Erik Routley (1966:93) provides an interesting analysis of Chesterton’s ‘O God of earth and altar’; and while we could not now agree with his description of it as a good ‘modern’ hymn, we do heartily concur with his observation that ‘it is entirely delivered from religious catch-phrases’ without offending against Christian doctrine. But Chesterton was something of a militant medievalist, and his images bear little resemblance to present-day life—nor did they when the hymn was first published in 1906. Biblical language, if not of the essence of hymn-writing, is still a very useful point of reference. But do scriptural resonances somehow ‘sanctify’ hymnody? I suspect not necessarily; though they may help to draw a distinction between hymns and songs. Shakespeare, in The Merchant of Venice (I iii 99), reminds us that even the devil can cite Scripture for his own purpose. We have to reckon too with the fact that parts of Scripture itself are theologically objectionable, such as the passages that describe the slaughter of other races to make room for Israel, the number of wives King Solomon enjoyed, and the wish to see the babies of hostile adults battered on the rocks. Not everything found in the Old and New Testaments can justifiably be described as the Word of God. As to whether the Scriptural resonances of hymnody are a help or a hindrance, we must retain an open mind. It is good when they remind us of the centrality of the Word in worship, and offer informed commentary on the message of that Word, and of its implications for our Christian witness in contemporary society. But at their worst, they can also seriously distort our perception of what the Spirit may be saying to the Churches. The challenge of new words in the Church’s repertoire of hymns will always present difficulties, especially when this involves the sacrifice of something that has been precious and familiar for a long time. Losing favourite hymns can for some be akin to a bereavement experience, which activates feelings of grief, disorientation, doubt, confusion, and meaninglessness. We now live in a predominantly industrial rather than predominantly agricultural society; this has made many 19th-century hymns obsolete. Images of labourers in the field and reapers gathering up the sheaves, though biblical, have largely been superseded by that of one individual at the controls of a combine harvester. Farming practices are no longer as labour-intensive as they once were, and the movement of population to the towns in search of employment has given rise to different social problems, such as overcrowding, urban decay, drug abuse and alcoholism. Though 19th-century hymnody was not entirely ignorant of such sociological factors (one needs only to look at some of the temperance hymns of the period), the images of idyllic rural life that we find in some hymns (especially harvest hymns) from a bygone generation now seem strangely remote. Hymns on the themes of social justice and human rights are probably very necessary, but they run the danger of degenerating into thinly disguised political polemics. Such hymns often seem to ‘date’ very quickly; some of the older ‘National Hymns’ seem very odd, since Britain relinquished its Empire; and while some (such as Henry Scott Holland’s ‘Judge eternal, throned in splendour’) can be given a temporary reprieve by suitable and sensitive revisions, others are best left to rest in peace. But Donald Webster’s warning signals are valid: political propaganda is no substitute for prophetic protest, even though these are often linked. Hymns should not become ‘exclusive’ by being aligned with the aims and values of any one particular political party. The folk-song of protest is no substitute for action, and the constant use of such songs in order to strum one’s frustration away’ (Lehrer and Searle, 1981:96-97) can, as Donald Webster points out, be very ‘dispiriting, unredemptive, and negative’. Some of the ‘missionary hymns’ of the past are now regarded as displaying a superior and condescending attitude, echoing the sentiments of the worst kind of cultural and religious imperialism. Hymns on the theme ‘Jewish Missions’ (e.g. RCH 366-369) seem to be both theologically and politically incorrect; and Wesley’s line about ‘washing the Ethiop white’ in the original penultimate stanza of ‘O for a thousand tongues’ (quoted in Erik Routley’s Panorama of Christian Hymnody, 1979) has led to accusations if racism. The principle, therefore, of discarding certain hymns (or their offending stanzas) on political, as well as theological grounds, seems to be well founded. Religious attitudes and emphases arc always changing. Nowhere is this more evident than in the range of hymnody dealing with what in the twentieth century has become the great unmentionable, death. This is now a neglected area, partly because of changing perceptions about whether death is a suitable subject to sing about, but also because of longer life expectancy and the improved social conditions that have greatly reduced infant mortality. Hymns like Mrs Alexander’s ‘Within the churchyard side by side’ (AMS 575)—which met a real need when it was written, and attempted to address the difficult theological questions that children were then asking—are now almost completely unnecessary, because the problem has largely disappeared, and because children no longer ask those questions. However, such hymns still have great popularity with elderly people, and are still occasionally requested at funeral services. In the contemporary Church, hymn-writers have continued to respond to the challenge of writing on what were previously taboo subjects: John Bell, for example, deals sensitively with such issues as sexual abuse, unemployment, bereavement, and loneliness in his hymn ‘Christ’s is the world’ (Songs of God’s People 21), and, rather than offering facile answers, asks the appropriate theological questions that others may have ‘religiously’ avoided. The whole vocabulary of liturgy and hymnody has undergone enormous changes in the last twenty years. A small, but not insignificant, minority of people are not comfortable with the less formal language of contemporary worship and feel that it has lost much of the element of mystery. In this respect, the modernizing of classical texts presents both difficulty and danger. It is a common complaint that the pace of change is perceived as being too fast; but prejudice against change as such only partly accounts for such feelings. Too much change too soon, especially when it is badly managed, causes frustration at best, and results in alienation at worst. It makes some (traditional) worshippers feel that they no longer ‘belong’. Of course, the Church is not an antiquarian society, but it should be careful not to depart too quickly from its literary, musical, and cultural heritage. A little respect for its elderly members’ spiritual landmarks—which include traditional hymns—would not go amiss. The three most obvious features of poetry arc rhythm, repetition, and rhyme. Carl MacDougall writes (1997:17) about his schoolteacher who emphasized that ‘every good poem has rhythm’, a point that remained in his memory for years, even more so than meaning, sense, or structure. Richard Watson (1998:127) agrees: ‘Rhythm is important, perhaps crucial’, because it has assurance and conviction. It has an infectious quality that seems to invite participation; it enables people to sing words that they may not understand (as young children do with nursery rhymes) or even believe. Colin Morris (1975:54) comments. ‘I once heard an eminent theologian, who, when asked if he could say the Apostles’ Creed with absolute conviction, replied “No, but I can sing it!”’ A beautiful, well-crafted line carries authority; and this is conveyed when it is confidently sung. Watson (1998:128), however, sounds a warning signal. Too insistent a rhythm can lead to monotony and boredom. The impact is in the punctuation, and the dramatic use of enjambment; the arresting opening has remained with me since my schooldays. The same poetic device is used to good effect in some classic, and modern hymns, such as ‘Be still my soul: the Lord is on thy side’. ‘Beloved, let us love: love is of God’, ‘Go. labour on: spend and be spent’, ‘Jesus calls us! O’er the tumult’ and ‘God! As with silent hearts we bring to mind’ (BBCSP 379). recalled a wonderful moment from Pablo Neruda’s memoirs when, following a clutch of political speeches, Neruda was asked to read to a field of striking miners. When he began his opening poem, the men took off their helmets and bowed their heads. It is both lonely and therapeutic; it is a healing thing. Yet among those who do it professionally there is a high percentage of suicides, many manic depressives and cyclothymic personalities who know the extremes of high and low. He therefore suggests that this might be an unhealthy thing to do continuously, and that it might be best seen as an occasional art. There remains one final point to be made about the poetic rhythm of hymnody, namely, its relationship to the rhythm of music. It is not always easy to integrate the two. It was said of Sir John Stainer that his fine literary feeling was not matched by an ability to set texts appropriately to music (Temperley. 1980:58). The one may drive the other to excess, without taking proper account of its punctuation marks. And congregations are notorious for singing line for line, breathing only at cadential pauses, even though the flow of the poetry demands that they carry on. Sometimes the discipline of breathing that is necessary for singing is different from that required for clarity of the spoken word. The interrelation between sound, sense, and syntax is perhaps more complicated than is at first apparent (cf. Watson, 1998:128). Hymn-writers may be forced by congregational convention or laziness to express their thoughts line by line; but while it may be expedient to follow that practice occasionally, it is not a good principle to be observed rigidly. It seems to compromise the observation that ‘the best rhythmical practice of the best hymn-writers is highly sophisticated, for they use the stress patterns of the tune and metre to provide a strong base, on which they build in subtle and sensitive ways’ (Watson, 1997:25). (ii) the repetition may be a deliberate double entendre, indicating the costliness of the Saviour’s love, as well as its affectionate nature. The reader is then left to ponder an unanswered question. Both interpretations are possible. It is difficult not to marvel at the author’s delightful economy of language, which is still strong enough to bear both concepts. Now consider the hymn ‘I cannot tell why he, whom angels worship’ (HP 238),which contains the lines ‘And so the Saviour. Saviour of the world is come / is here / is known / is King.’ Here the repetition of the word ‘Saviour’ simply jars. It indicates a poverty of linguistic expression and mars the quality of the text. The repetition of ideas can be quite an effective tactic as well. This can be done in either of two ways. Firstly, it can imitate the parallelism that is a recurring feature of Hebrew poetry, especially in the Psalms. As well as introducing what amounts to a further reflection on the main idea, thus helping to establish it clearly in the mind, it has the advantage of enlarging the literary vocabulary of the worshipper. The second way is to treat the same idea differently in succeeding verses, as in such hymns as ‘The right hand of God’ (HP 408) and ‘The Kingdom of God is …’ (HP 139), where the singer is left in no doubt as to the theme under consideration throughout the entire hymn. There is also the repetition of whole verses or refrains, which can break up a long narrative, as in many Christmas carols. Even if one cannot always remember the words of the verse, the refrain always invites participation, and intensifies one’s sense of belonging. The Reformers were not slow to realize the educational and missionary value of rhyme (see, e.g. Millar Patrick, 1949:xxiii. 28). Rhymed text is always easier to memorize than prose. The use of rhyme gives a hymn security and order, as well as memorability. As Richard Watson points out (1997:30), this requires subtle verbal engineering, and often involves radical departures from the normal patterns of speech and of sentence construction. Yet, as he recognizes, it is often these marked deviations from normal speech rhythms that give poetic lines their quality of memorability. They become distinctive because they are unusual. When the rhymer’s task is well done, and sense, sound, and syntax are perfectly integrated, the results are assertive, spectacular, and memorable. But even when the rhyming appears to have been done badly, the poetry can still be good, as in Wesley’s ‘Earth, rejoice, our Lord is King!’ (HP 811), which contrives to rhyme ‘nigher’ with ‘fire’ in its fifth verse. Lord, let thy justice dwell. and hide it in thy lap? To give Thy foes a rap. because what is actually forgotten is a dream that dies at daybreak, not the sons of time. But the placing of the word ‘dream’, to rhyme with ‘stream’ in a previous line, requires ‘forgotten’ to be transposed to a point in the verse that is really too early. A psychological observation is therefore obscured by a mistaken view of the significance of humanity—and it is the rhythmic flow, together with the rhyme, that is responsible. The assurance and order conveyed by rhyme can also be deliberately challenged. Fred Pratt Green does so in his hymn ‘When the Church of Jesus / shuts its outer door’ (BPW 614). If one examines his three stanzas, one is struck by their simple structure: in the first half of each stanza, he describes the disorder in society, which he wishes to challenge and change; and in the second half he makes a powerful plea for divine intervention to restore the sense of order. Arnold (1955:122) comments on the metrical and rhythmic variety of Wesley’s metres, noting the surprising lack of iambic pentameters in his hymns, and suggesting that he saw the hymn as a form of expression that was very different from conventional poetry. J. Ernest Rattenbury (1941:41-42) describes Wesley’s use of anapaestic octosyllables with an iambic foot at the beginning of each line (88 88D) as his ‘mystic metre’, in which ‘he could express most easily with flaming ardour his deep and tender longings for communication with God’. Similarly, there were those who considered ballad metre as quite inappropriate for church use (Arnold, 1995:125). So perhaps some authors see certain metres and rhyme schemes as appropriate for certain moods—as some composers do with certain keys and tonalities. Rhyme does not always come naturally. It may impose an artificial symmetry on some hymns, which may then seem contrived or even forced; but the effectiveness of rhyme compared with sung prose is undeniable. In Reformed worship, prose psalms have virtually dropped out of use altogether, and, where they are still sung, they tend to be the preserve of the professional choir. Some unrhymed verse can prove remarkably memorable and even more remarkably enduring, but that is the exception rather than the rule. The most obviously successful example that springs to mind is ‘O come, all ye faithful’—and possibly much of its success is due to its recurring refrain rather than to any other feature of the lyrics. Rhymed verse generally makes more impact, is more easily committed to memory, and generally helps to intensify in the minds of singers a sense of inclusiveness and of belonging. …Music is only fully understood when it is evaluated as music, and not in association with words…Music deserves evaluation in its own right, and not as an expression of something else. It has long been recognized that there is a ‘particular affinity’ between music and religion, which is of ancient origin (Stewart, 1926:1). The New Testament seems to take this special relationship for granted, but its two references to ‘spiritual songs’ (Eph. 5:10, Col. 3:16) are notoriously difficult to interpret. It is said that the singing of such ‘noble spiritual songs’ should bring to all who participate ‘a great spiritual enrichment’ (RCH, 1927:vi). But there is a danger here, of confusing spiritual enrichment with emotion, which is in the very nature of music itself. As Linda Clark has pointed out, ‘Music functions to bring to awareness verbally ineffable aspects of human experience.’ (quoted Carney, 1999:15). Nevertheless, music can not only aid worship, it can become worship; and although music can be ‘nourishing to faith’, it ‘is itself not of the essence of faith’ (Jones, 1989:94). True enough: there are plenty of tone-deaf Christians who would love to sing, but cannot; and it is certainly possible to lead a Christian life without reference to music—but I would argue that something vital is missing from such a person’s spiritual experience. A clear understanding of what exactly is meant by ‘spirituality’ has proved singularly elusive. While it is ‘co-extensive with the religious’ (Chatterjee, 1989:2), it is not necessarily the same thing; and this may help us to understand something of why it is that the works of composers who neither professed nor appeared to hold any Christian faith can still be described as ‘inspired’, and can instil feelings of awe on the part of Christian listeners. The works of non-Christian poets and composers have been sung as hymns: the writings of Hardy and Shelley, for example, have a place in Songs of Praise (1931), while the music of the same book was part-edited by Vaughan Williams, who has been variously described as an atheist or an agnostic. As to whether such people can be ‘inspired’, the theological answer must be ‘yes’; one thinks of God’s use of the pagan King Cyrus in accomplishing His purpose in ending the Exile, in the prophecy of Isaiah. On the other hand, Sir John Goss was said never to have composed an anthem without first committing the enterprise to prayer (Moffatt and Patrick, 1935:352), and many of his compositions bear the inscription, In Nomine Domini. Amen. Many of Bach’s manuscripts bear the letters S.D.G. (Soli Deo Gloria) or J.J. (Jesu, Java), to indicate the spirit of piety in which he composed (Stewart, 1926:196, Kavanaugh, 1992:30). This seems to be something akin to the description by Rowan Williams of the classical chorale and the primitive psalm-tune as ‘the sound of communion’ (1997:77). The transcendental quality of the music of hymnody can exercise an important and powerful ministry. ‘From Thee the skilled musician’s mystic art’? For hymns are … the expression of all the varieties of religious experience, the dark places of the soul, the exaltation, the sense of penitence, and the sense of joy. In what, then, does the power of music reside? Do the notes have a mystical quality in themselves, or do we have to look elsewhere? Perhaps it is the use to which music is put that sanctifies it; perhaps it is the words it accompanies; perhaps it is the intention of the composer. Mendelssohn, for example, seems to have been of the opinion that ‘notes have as definite a meaning as words-perhaps even more definite’ (Letters, July 1831, quoted Stewart, 1926:25). Whether that is true or not, a number of people do seem to attach a certain significance to certain keys and one or two ‘see’ keys as representing particular colours or moods. For example, C minor is regarded as ‘tragic’, D major as ‘brilliant’, D flat major as ‘luxurious’, and A flat minor as ‘richly sorrowful’ (Cooke, 1959:175, 196). The well-known example of Wesley’s conversion may illustrate this. When his heart was ‘strangely warmed’, a hymn seems to have been sung—thus prompting the famous claim that ‘Methodism was born in song’. A musician’s service was thus thought of in terms of spiritual vocation; and it is often held that Bach, with his constant striving after perfection (Wolff, 1983: 167) was the spiritual composer par excellence. But was he? The elaboration of his musical ideas, it has been argued, required ‘mastery of his craft, rather than inspiration’ (Wolff, 1983:166); and it has been said of his Canonic Variations (BWV 769) that they are ‘more ingenious than inspired’. While ‘inspiration’ is by definition ‘spiritual’, it may not necessarily be more spiritual than mastery of a craft. Genius has been described as 1% inspiration and 99% perspiration. A composer may struggle to produce a work of musical integrity, having discarded earlier drafts, and having found that certain ideas would not ‘work’, but the end result of this revising and refining process may be a piece of music of great spiritual quality. Other musicians, who have not spiritual convictions, may equally produce a work which a believer may find ‘inspiring’ in the best sense of that word. As one whose faith taught him to do whatever he did to the glory of God, Bach sought, through his music, to express the response of a deeply sensitive nature to the appeal of the sublime mysteries of religion. Perhaps his music does have ‘a certain something’ that may be missing from the compositions of those musicians who do not share his convictions. The soul of the composer may be a factor in bringing to life the spiritual potential of a composition; however, there may be other factors. Perhaps music is sacred only when it has been adopted by the Church, or by individual believers, and its ‘odour of sanctity’ has come about by association. For instance, it has not escaped me that the famous Passion Chorale was originally a secular love-song; and there are many other examples in the music of hymnody. But if the language of music is to be regarded as a divine gift to the people of God, and does potentially possess an essentially spiritual quality, then we may be justified in reaching the conclusion expressed in one of our hymns: ‘From Thee the skilled musician’s mystic art’, signifying that it can be a means of grace. It may be that the way in which musical impulses are ordered somehow imparts a measure of order to the lives of those who listen to it. There may be a parallel here with architecture, which has been described (see Stewart, 1926:23) as ‘frozen music’. In one sense, this is something of a misnomer, because although the composer can indeed commit his thoughts to paper, it is a hopeless task to give permanence to momentary feelings. Music is a performing art, and performance always involves the question of interpretation. The performer’s thoughts change with the passage of time, and intensive studies of the musical score will enable him to discover fresh insights which had previously gone undetected. A student of architecture may draw attention to how, for example, arches balance one another, and point out how particular features can have an exuberant flourish; but unlike music, which moves on in time, a completed architectural structure remains frozen in time. But people are never frozen in time. Within faith communities, life is often seen in terms of a spiritual journey or pilgrimage in which one has ‘no continuing city’. Those who are consciously engaged on some kind of spiritual quest for the eternal rarely stand still. For many people, music has some kind of (close) relationship with that spiritual quest, and it never ceases to stimulate perceptions of delight, which we are at a loss adequately to explain. Almost all of us ‘receive’ something from music, people can surely appreciate it without either the necessity or the ability to analyse its technicalities, its mystical aspects, its contents, or its formal structures. After all, only a small percentage of the population could be described as musically literate, in the sense of being able to play an instrument tolerably well, or to read staff or sol-fa notation. Similarly, one does not need to be an architect or a mathematician to appreciate the sense of ‘holiness’ in a well-proportioned cathedral. There is often a sense of the ‘numinous’ about well-crafted works of art, literature, music, and sculpture, with which we readily identify. Does the quality of music matter when it is appreciated? I think that it does; but clearly people are also ‘moved’ by what critics would describe as slipshod and second-rate works, which are badly constructed and ineptly composed. Does the fact that an amateur composer has written a hymn-tune that is riddled with consecutive fifths and other harmonic and melodic faults, necessarily invalidate the mystical and spiritual experience of the listener who finds his composition to be deeply moving? Maybe not, but it does undermine it for those who can recognize such faults—which then begs the question: is there a conflict between musical values and spiritual values? And does music, despite the tremendous range of variations in its quality, succeed in communicating reality, or even transreality, which we might interpret in a Christian sense as meaning something of the Kingdom of God, in which all have a place, including those whose moral and spiritual growth has, for one reason or another, been either stunted or underdeveloped? If this is so, then it is surely more than wishful thinking to claim that the mystical aspect of music that we find in some of our hymn-tunes helps significantly to intensify our sense of belonging. Psychologists have shown that listening to soothing classical music can affect areas of the brain which produce aggression, and make people more understanding and forgiving. …it is the very sound of music itself, the tonal quality, which is important. It is this component of music which is associated with the right hemisphere of the brain. In these esoteric traditions, tonal vibrations of certain frequencies are held to stimulate parts of the mind, which normally go untouched. …The mantra of Yoga, the Dervish call, are ‘magic’ words. It is often thought that the ‘special’ properties of these words lie in the meaning. Actually, the magic lies in the sound of the words, which are designed to have certain effects on the consciousness. But this is no ‘new’ discovery, nor is its application confined to the ‘mystical’ music of the East. Over 70 years ago G. Wauchope Stewart noted the well-known case of Helen Keller, who, though completely deaf, was still able to have certain perceptions of music through the vibrations being taken up by certain sensitive organs throughout the body. A good contemporary example is the internationally renowned percussionist, Evelyn Glennie. I contend that our engagement with the physical reality of sound not only does something; it also communicates something. Certain frequencies (especially in high volume) do more than ‘just’ harm the ear; they can inflict emotional and psychological damage, as the sheer force of sound wears the listener down. Exactly how music—which after all, consists of humanly organized sounds and vibrations, that communicate pleasure, sadness, exhilaration, anger, or feelings of peace and well-being—actually does achieve its effects is not clear, and remains a hotly disputed issue (Begbie, 1989:3). Is it the sound that has the effect in itself, or is it the organisation of sounds? I rather think it is both. It has been argued, e.g. by Larry Norman (quoted Begbie, 1989:6), that ‘the sonic structure of music is basically neutral’ and that ‘it’s available to anyone to express the kind of message they choose’; but against this, we have Cooke’s symbolic definitions of the emotional effects produced by every melodic interval, e.g. the minor third communicates tragedy, the major third, joy, the minor sixth, anguish, and the major sixth, pleasurable longing (1959:89-90). Factors that contribute towards the variety of physical, emotional, mental, and spiritual responses to music include rhythm and melody. Rhythm, which involves the relationship between organized sounds and time, can exist without melody; melody, however, requires rhythm to activate it (Durr, et al, 1980:805). A measure of cadential variety is also highly desirable; SOLDAU, with three plagal cadences out of four, has been described as ‘an incredibly monotonous tune’ (Webster, 1983:118). Melodies also require (at least to British ears) a measure of metrical symmetry (see Routley, 1957:6), which adds to their balance and poise. What has been suspected or sincerely believed for centuries regarding the power of music has now been scientifically authenticated; and North (1998:28) is almost certainly right to identify the key factor as rhythm, which he describes as ‘the fourth R’. If there was any doubt in the present age that one encounters rhythm before melody, one needs only to observe the tendency among the young to play their music at such a high volume that all that one actually hears is the steady thump, thump, thump of the beat; any melody that does exist is simply drowned in noise. One of the most distinctive features of the earliest Lutheran chorales was, as Routley pointed out (1957:13), their tendency to possess ‘a rhythm so marked and so urgent as to make harmony, or even a minimal accompaniment, virtually unnecessary for a successful performance’. Indian and Arabic music, for example, which is essentially rhythmic, strikes Westerners as singularly unmelodious; nevertheless, it produces ecstasy on the part of those who ‘feel’ the music. Melody becomes virtually unnecessary. It seems that rhythm helps to focus energy; but perhaps it does not always concentrate the mind! Nevertheless, there is, I think, a relationship between rhythm and learning; and research on skill-learning of many varieties seems unanimous in emphasizing the need for over-learning in countering the possible disintegration of habits in situations of stress (Spender and Shuter-Dyson 1980:418). At one time it was common in primary education to encourage the corporate rote learning of multiplication tables. Those of us old enough to remember this practice recall the rhythm, as well as the regularity, with which these were recited, as the basics of arithmetic were virtually ‘drummed’ into us as young children. And though such educational methods are severely disparaged nowadays, what was learned in those days remains firmly stored in one’s bank of knowledge. Hymns, I think, were similarly over-learned in childhood; I still have memories of the rote learning of the words of the metrical version of Psalm 95, and being quite captivated by the concept of ‘the spacious sea’ which the Lord our God did make, and of how ‘the dry land also from His hand its form at first did take’. At the time, I was only eight; but its sticks in the memory. Strangely, however, I have no such vivid recollection of learning the tune IRISH to which those words were sung. Regular rhythm, as has been recognized (Spender and Shuter-Dyson 1980:409), is not always mentally stimulating; it can be quite soporific in its effects: the rattling rhythm of a train can lull passengers to sleep, and, of course, some music was written with precisely such an end in view, e.g. Brahms’s Lullaby, and Bach’s Goldberg variations, written for an insomniac patron. According to Enoch Watts, the words of some hymns had the same effect: ‘honest Barton chimes us asleep’ (quoted by Arnold, 1995:36). Perhaps for that reason, some irregularity of rhythm is needed to maintain vitality and interest; what is true of speech inflections is also true of music, and the unexpected accents, stresses, and ‘hiccups’ of some German chorales and Scottish psalm-tunes keep the singers on their toes, by demanding that they should pay attention to how the melody should be sung. As Durr et al. point out (1980:805), the relationship between rhythm and the human organism is essential to the understanding of musical rhythm. Heartbeat, breathing, and walking order the passage of time in regular units, and have been used time and again to illustrate this relationship despite their variety and complexity. External and internal events alike affect pulse and breathing rate; conversely, regular rhythm has its physiological manifestations. The rhythmic chanting of mantras, for example, can alter consciousness, and the regulation of breathing affects brain waves. The tensions, the pattern of stress, in a hymn have to be, as in most traditional songs, rapidly accessible to different readers and performers. Both in idiom and in metre, the hymn needs to have a degree of impersonality, of submission to commonly agreed structures. Rhythm creates, even dictates, moods. Time signatures may determine whether a piece is lively, or reflective. From a Christian point of view, it could be argued that not all rhythms are, however, wholesome; for example, frenzied fertility dances may be strongly rhythmic. If rhythmic form is even more important than melodic content, this is especially true for those who suffer from severe memory loss, or impairment of understanding. Music depends on memory for it to make sense (Spender and Shuter-Dyson 1980:411). Its performance is conditional upon human ability to reproduce it accurately. The ability to read staff or sol-fa notation, though very helpful, is not essential, and indeed in the British Isles most worshippers sing from a ‘words only’ hymn-book. The frequency with which the core repertoire of hymnody is sung undoubtedly helps to establish the melodies in the mind, even if only subconsciously (one thinks of how tunes such as WESTMINSTER ABBEY and MICHAEL have caught on by a kind of musical osmosis). The more complex the melodic structure of a hymn-tune, the greater the likelihood for error when it is sung—hence the variations in folk-songs transmitted through oral tradition. Sometimes in this respect even Bach followed, rather than led: see Routley’s discussion (1957:82) of his treatment of the chorale WACHET AUF, where he seems to make concessions to the inaccuracies of popular repetition of what was thought to be the melody. Hymn-tunes succeed, I think, because their general brevity and simplicity makes them memorable. Sixteen bars would appear to be the maximum manageable length; it can hardly be coincidental that Stainer’s metrically peculiar ETIAM PRO NOBIS, which is made up of no less than eight four-bar phrases, is the most difficult of the five hymns in his cantata The Crucifixion. These stages apply equally to the memorizing of music and words, except that the second stage seems to involve different hemispheres of the brain. Musical information is apparently processed by the right hemisphere, and linguistic data by the left. My ‘gut feeling’ is that it is the first of these stages (registration) that causes the most problems as we get older. I find that I have to be reminded constantly about the dates of birthdays of my nephews and nieces, which have never ‘registered’ with me as securely as those of my brother and sister who have been part of my life for much longer, or of my parents. How significant is it, I wonder, that children have no difficulty with technology that baffles middle-aged and elderly people: how many of the latter can actually set the video? There are implications for those who write new words and compose new music for Christian worship. As well as attempting to capture the public’s imagination, they must also seek to meet the highest standards of literary, theological, and musical excellence. Their works must be fashioned with integrity, and indeed, they must work hard to earn and to secure their place in the public’s affections. In a ‘post-Christian’ society, and in the contemporary situation, where people seem to have a shorter attention-span, and in which the practice of over-learning, which was such a prominent feature of the spiritual life of previous generations, can no longer be taken for granted, today’s authors and composers probably face a much harder task than their predecessors. Despite the problems and difficulties I have referred to, it remains my conviction that the words and music of Christian hymns are far more potent than may at first be apparent, and that they are singularly underrated as vehicles of grace. Another common factor, as we have seen, is that of structure, which is of great assistance in imparting a significant measure of order to human life. Here music can be a very powerful means of non-verbal communication, while the distinctive and familiar well-constructed phrases from the best loved of traditional hymns can reactivate dormant or distant memories, thus helping worshippers to achieve moments of transcendence. But sometimes the effectiveness of hymns has little to do with their literary merit, or their musical excellence; for what often determines whether they will encourage a spirit of belonging or produce feelings of alienation is the issue of presentation. In this regard, John D. Witvliet (1999:11) has called attention to the psychological effects of certain large-scale musical events. In his view, Welsh hymn-singing festivals seem to invite participation, as they encourage vigorous mass singing, whereas the playing of the national anthem before well-attended sporting fixtures may allow people to avoid active musical engagement, by taking refuge in numbers, and blending into anonymity. Indeed, sometimes this is quite counter-productive: the playing of the one country’s national anthem often sadly motivates spectators to indulge in the most unsporting and disrespectful behaviour of booing. And though what Witvliet says about large-scale events is very true, the principle also holds good at services of worship which may attract only an ‘average’ attendance. Badly presented music, either by an organist who strikes too many wrong notes, or by a praise-band that cannot keep in tune, can incur the wrath of even the most patient and placid of worshippers. Nevertheless, when properly presented, the combined sounds of words and music can communicate eternal values, which overcome suffering and stress, thus stimulating the highest of our religious feelings, and enhancing one’s sense of communion and belonging. Hymns are therefore at their most effective when they contribute towards satisfying the immortal longings of the human soul. Arnold, R. (1995) The English Hymn: Studies in a Genre. New York, Peter Lang. Begbie, J. (1989) Music in God’s Purposes. Edinburgh, Handsel Press. Carney, M. (1999) ‘Liturgical Music in the Postmodern Age’ in The Hymn, Vol. 50, no.l (Jan. 1999), pp. 15-23. Chatterjee, Margaret (1989) The Concept of Spirituality. Calcutta. Cooke, D. (1959) The Language of Music. Oxford, O.U.P. Durr, W., et al. (1980) ‘Rhythm’ in New Grove, Vol. 15, pp. 804-824. Jones, l.H. (1989) Music: a Joy for Ever. London, Epworth Press. Kavanaugh, P. (1992) The Spiritual Lives of Great Composers. Milton Keynes, Word UK. Lehrer. T. and Searle. R. (1981) Too Many Songs by Tom Lehrer with not enough Drawings by Ronald Searle. London. Methuen. MacDougall, Carl (1997) ‘The Herald Essay’, Herald. 11 October 1997. p. 17. Mackenzie, I. (1993) Tunes of Glory. Carbery, Handsel Press. Morris, Colin (1975) The Word and the Words. London, Epworth Press. Moffatt, J. and Patrick, M., eds. (1935) Handbook to the Revised Church Hymnary (revised edn). London, O.U.P. North, A. (1998) ‘The Power of Music can drive away Vandals’. Sunday Post. 15 March 1998, pp. 28-29. Ornstein, R. (1972) The Psychology of Consciousness. New York, W.H. Freeman & Co.
Patrick. Millar (1949) Four Centuries of Scottish Psalmody. London, O.U.P. Pitt-Watson, Ian (1976) A Kind of Folly. Edinburgh, Saint Andrew Press. Rattenbury, J. Ernest (1941) The Evangelical Doctrines of Charles Wesley’s Hymns. London. Epworth Press. Routley, Erik (1957) The Music of Christian Hymnody. London, Independent Press. Routley, Erik (1966) Hymns Today and Tomorrow. London, Darton, Longman and Todd. Spender, N. and Shuter-Dyson, R. (1980) ‘Psychology of Music’ in New Grove, Vol. 15, pp. 388-427. Stainer, John (1900) Hymn Tunes. London, Novello. Stewart, G. Wauchope (1926) Music in Christian Worship. London, Hodder & Stoughton. Temperley, Nicholas (1980) ‘Stainer, Sir John’ in New Grove, Vol. 18, pp. 57-8. Watson, J.R. (1997) The English Hymn. Oxford, Clarendon Press. Watson. J. R. (1998) ‘Alphas and Omegas of Hymn Writing’ in Hymn Society Bulletin 215, April 1998. pp. 126-131. Webster, Donald (1983) Our Hymn Tunes. Edinburgh, Saint Andrew Press. Williams, Rowan (1997) ‘Beyond Aesthetics: Theology and Hymnody’ in Hymn Society Bulletin 213, October 1997, pp. 73-78. Witvliet, J. (1999) The Blessing and Bane of the North American Megachurch: Implications for Twenty-First Century Congregational Song’ in The Hymn, Vol. 50, no. 1 (Jan. 1999), pp. 6-14. Wohlfarth, H. (1985) Johann Sebastian Bach. Cambridge, Lutterworth Press. Wolff, C. et al. (1983) Bach Family. London, Macmillian.